A healthy meal is crucial for a healthy living. Our present day lifestyle gives us lot of excuses to make us escape from a healthy meal. Ready to snack upon meals, large number of food counters and less time to prepare meals at home give us enough reasons to munch on unhealthy food. Whether a school kid or an office worker, at least one mealtime we eat outside home and this is when all the nutrition planning gets a setback. Often kids get fascinated by the meals available at the canteen and the adults either get a subsidized meal or a cafeteria to offer a variety of snacks and meal options. Logically this meal contributes to 1/3 of the daily nutritional requirements and to skip the meal or eat unhealthy option can give us deficiency of essential nutrients or excess of fats and sugars and less of vitamins and minerals. To avoid such health risk and to keep yourself healthy even outside home definitely points to carrying a healthy meal even to your work place. 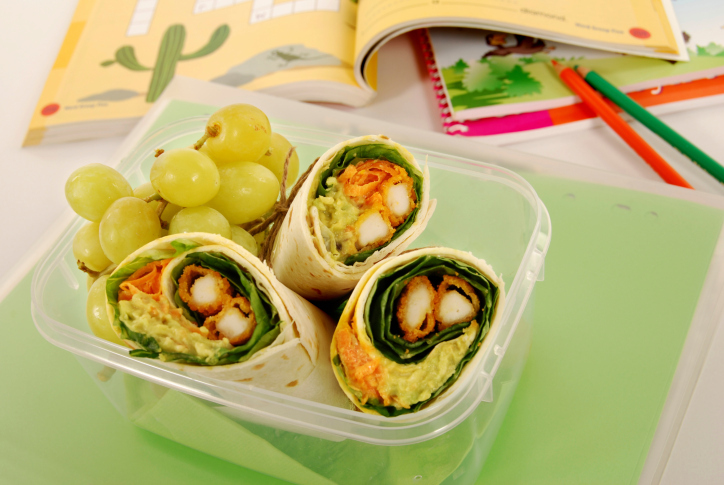 Preparing and packing a nutritionally balanced lunch box can be a real difficult task. It needs time for shopping the required ingredients, preparing the menu and packing it interestingly in the lunch box needs a lot of planning and hard work. There are certain factors that one should keep in mind to prepare an interesting and tasty meal box. This is the most important of all the factors as this is the prime reason for carrying a lunch box. Well it should be a perfect blend of carbs, proteins, some greens, veggies or fruits and a sweet. It can be as simple as rice or flat bread with some daal or soya curry, some vegetables, salads and a fruit whole or dessert like custard or stuffed cheese rotis with some vegetable preparation or a tastier version of veggie pasta with whole wheat toast with some fruit salad. The goal is to make the meal wholesome with cereals for carbs and fiber, lentils, grams, eggs, chicken or cottage cheese for protein, veggies and fruits for the essential vitamins and minerals and some dessert as a compliment to the healthy meal. Related to the above point, your meal should be a balance of health and taste to make it appealing and non-monotonous. This may need a lot of planning and preparation which means more sparing of time but anything done for a healthy life is worth it, isn’t so!!!!! A regular restaurant goer or a corporate worker who has to participate in social eating today very well knows his food. You can’t coax him into eating anything. Hence the menus must suit the taste, preferences and budget.